Huawei's latest flagship HUAWEI P20 Pro has been in the spotlight since it was launched in Paris earlier this year. Equipped with a large 18.7:9 Full HD+ FullView display, Leica triple cameras and the world's first AI processor, Kirin 970, the HUAWEI P20 Pro has some truly impressive hardware under the hood. But did you know? Thanks to its EMUI 8.1, Huawei's latest powerhouse also offers a handful of truly user-friendly features that are not immediately apparent to users – especially if they are switching camp from Apple's closed ecosystem. As Huawei's take on the Android platform, EMUI 8.1 builds on the foundation of the currently most popular mobile OS and delivers a few much welcome quality-of-life features as well as optimizations. Allow us to take you through a couple of them. Do you hate lugging around your work laptop? What if we told you that you can actually center your entire work life on the HUAWEI P20 Pro, without sacrificing productivity? Cue Easy Projection, a solution that lets you transform your HUAWEI P20 Pro into a true work station – and all you need are readily available inside an office cubicle, plus a USB-C to HDMI cable. Plug in the USB-C end to your HUAWEI P20 Pro, and the HDMI to a display monitor, and voila! 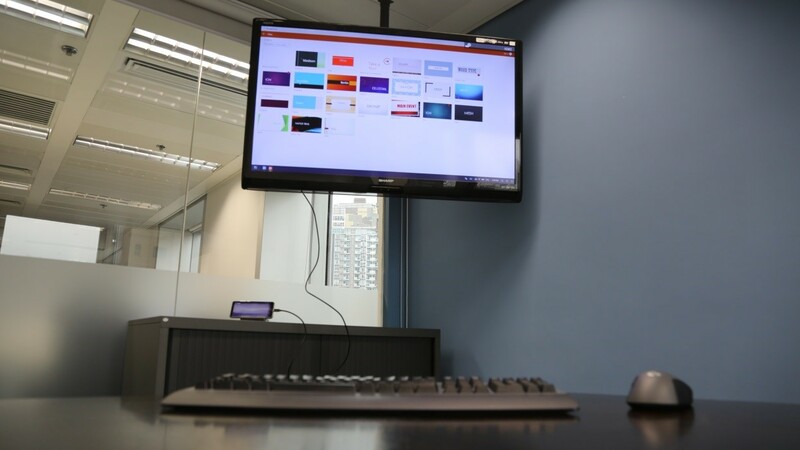 Your mobile phone is now a desktop, ready for work. For best results, connect a wireless keyboard and mouse via Bluetooth for the full PC experience, but in a pinch, the HUAWEI P20 Pro can double as a keyboard and touch pad. Simply open your favorite productivity apps and start working. Ever sent a text meant for friends to a fellow colleague? Even if you're fast with the recall button, it doesn't always work. Avoid the embarrassment with App Twin, a feature on EMUI 8.1. Accessible via Settings, App Twin lets users log in to two different accounts for the same app simultaneously, eliminating the possibility for a fat thumb to ruin your career prospects. To enable the feature, simply flip the toggle on and the system will create a new copy of the app, denoted by a tiny blue icon on the lower right corner. When duplicating app individually isn't enough, there's PrivateSpace, a feature hidden in the Security & Privacy tab under settings that lets users create a completely separate profile on the phone, which can be accessed using a different set fingerprints or unlock pattern. User data and files are not shared between the two profiles, allowing true separation of identities. Other than using it for work, those who have young children who like using their devices can give their kids access to this separate space, so that whatever they do will not put their data into jeopardy. The HUAWEI P20 Pro comes with a massive 4,000 mAh battery that supports HUAWEI SuperCharge, but that's not all. There are a few knobs on the EMUI that users can turn to maximize use time on their phone. First of them is the power saving mode. The default power saving mode limits background app activity, email refresh rate and visual effects to realize up to two days of usage. There's also an "Ultra" mode that imposes a stricter control over apps to provide up to seven and a half days of uptime on a full charge. In addition, a smart resolution option is hidden in the Display that automatically scales down the resolution (from FHD+ to HD+) for improved efficiency when the battery is low. Secondly, users can automatically optimize the device by tapping "Optimize battery usage" in the Battery menu. Within a few seconds, EMUI will generate a list of suggestions that, on your command, can help you extend your battery life. Last but not least, you can use a darker interface to save power on the HUAWEI P20 Pro. Since the HUAWEI P20 Pro uses an AMOLED panel, it displays black simply by turning off the pixels, saving energy while giving the users deeper blacks than current LCD panels can possibly attain. Besides all those optimizations, the EMUI 8.1 also brings to the table a few nifty tricks that let users go about their days a little bit smoother. Here we have prepared two examples: knock-to-screen capture and navigation dock. Many users have voiced that taking a screenshot isn't the most convenient thing on the Android device. So for the latest iteration, Huawei included a new, novel way for users to easily capture what's on their screen. By simply knocking the screen twice with a knuckle, a screenshot will be taken and saved into storage. The same method can also be used to take a scrolling screenshot – perfect for long, blog-like tabs on the browser – after knocking, quickly draw an "S" on screen to capture the entire opened tab. 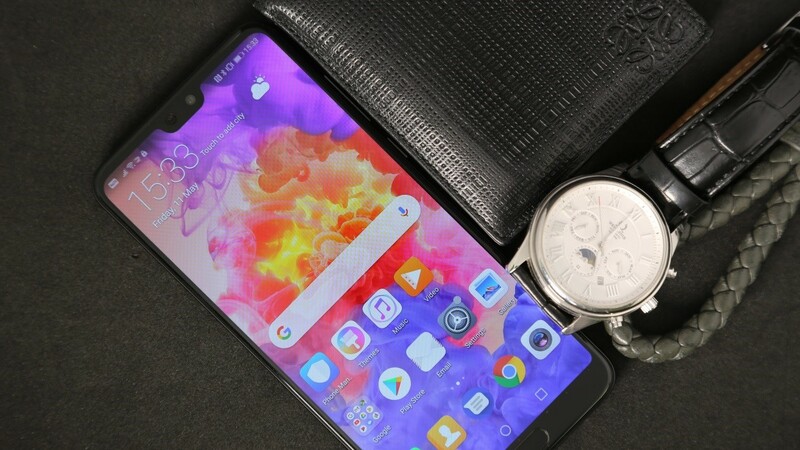 In another stroke of genius, Huawei also implemented screen recording in this unique gesture; all users have to do is to tap two knuckles twice on the screen or pressing-and-holding the power button and volume up key to start recording the screen. After reading all about these great features, are you itching to get your hands on the HUWAEI P20 Pro? The HUAWEI P20 Pro is now available worldwide at Huawei authorized retailers and select carriers.